It is normally possible to do the trip by coach or private journey through most tour operators. The Golden Triangle is now a well traveled route providing a good spectrum of the country's different landscapes. The circuit is about 720 km by road. Each leg is about 4 to 6 hours of drive. The Shatabdi express train also connects Delhi with Agra and Jaipur. On your arrival at Delhi for India's Photography Golden Triangle Tour, our representative will greet and transfer you to the car. You will drive to the hotel. Remainder of the day occupied with half day sightseeing along with the local street photography. by visiting to Red Fort Jama Masjid, and Qutub Minar. Our representative will help you out in the ticketing process and will share all the relevant facts associated with these famous monuments. Old Delhi Red Fort while enjoying on a ride of Rickshaw the main and only transport of old delhi,you can also visit the local market for shopping. Return to your hotel for overnight stay. Before breakfast after having bed tea proceed to India Gate photography around 5am once back finish your breakfast and get ready to proceed to Agra the love city you will go for a journey filled with lots of fun and excitement. Agra- the abode of "symbol of love- Taj Mahal". When you arrive at this city we will start with Taj Mehal Photography and later local shops and road photography, our representative will transfer you to the hotel for comfortable overnight stay. *Please note- Red Fort, Lotus Temple and Akshardham Temple remain closed on Mondays. Early morning, our representative will drive you to visit Taj Mahal at sunrise. This monument is considered as the symbol of love and attracts large number of foreign as well as domestic tourists every year. Return to the hotel for delicious breakfast and later our representative will drive you for half day tour to visit major photography attractions in Agra, which includes Agra Fort and Babj Taj, Later in the afternoon you will drive to Jaipur. En Route, you enjoy photography of Fatehpur Sikri. When you arrive at Jaipur, our representative will transfer you to the hotel for comfortable overnight stay. Take delicious breakfast at the hotel, as you are in the Pink city of India- Jaipur. This place is famous all across the globe for various magnificent forts and palaces. Our representative will drive you for full day sightseeing in Jaipur. You will start the city tour by visiting Amber fort and enjoy the elephant ride. You will also visit Hawa Mahal, City Palace, Albert Hall museum situated in Ram Niwas Garden. In the evening you will go to Choki Dhani, wherein you will enjoy Rajasthani folk dance and food. Return to the hotel for relaxed overnight stay. After taking breakfast at the hotel, time has come to say bid adieu to this India's Golden Triangle Tour as our representative will drive you to Delhi. On arrival, your will be transferred to the Delhi Airport to board your flight for next destination/home. Click here for 2018 Fixed Departure Kashmir Photography Tour and Kashmir tour. 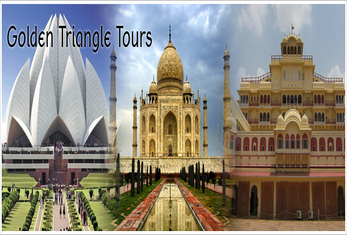 We also craft and organize custom made tour, as per your interest and budget. For custom made Kashmir photography tour, please feel free to contact us.